Email is a key part of modern life and it is vital to have a reliable service plus an email address that is memorable and applicable to you. This is especially true for small businesses. 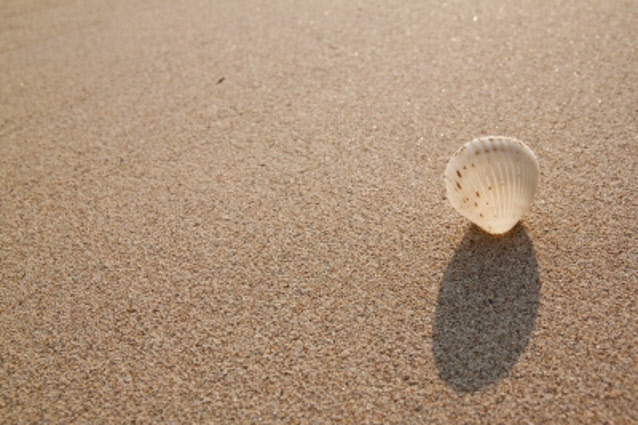 Our email services, whether part of a website or stand-alone as a dedicated mail service, we help you to stay connected and in touch whether you're at home, in the office or on the move. All of our websites and hosting come with email as standard with generous up to 1GB mailboxes, POP & IMAP configuration, SpamAssassin™ online spam filtering and Parallels™ inbound and outbound virus scanning. We also provide specialist email-only services for individuals, families, groups and small businesses. 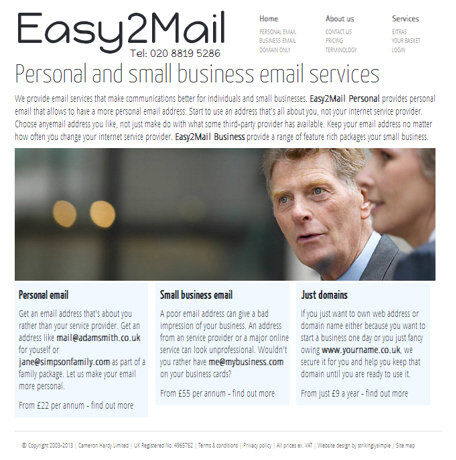 These services are provided by our sister business, Easy2Mail. Click on the links below to visit the Easy2Mail website and get detailed information on these services. Not eveyone wants or needs a full blown website but you could benefit from a personalised email account. Our services offer domain-based email that allow you to use an email address of your choosing rather than having to use one based on the name of your internet service provider or a global email provider. So, rather than having an email address like johnwatkins214@globalmail.com you could be using something like john@watkinsfamily.co.uk or mail@watkinsbakery.com. Powerful servers and generous up to 1GB mailboxes make Easy2Mail an excellent way to run your email requirements.